As you enter it’s hard to believe that you’ve just walked into Marconi House, the original London home of BBC Radio. Any BBC staff thinking of returning for the purpose of nostalgia will be well advised to refrain, for fear of tarnishing those very memories; the ME London is a stunning example what could have been. In fact if there was any office designed like this you would struggle to get the staff to leave, let alone retire. Alas the ME London is not a workspace per se, but a place of refuge and recovery, a fact that is evident from every aspect of design and your eyes are never far away from being entertained. 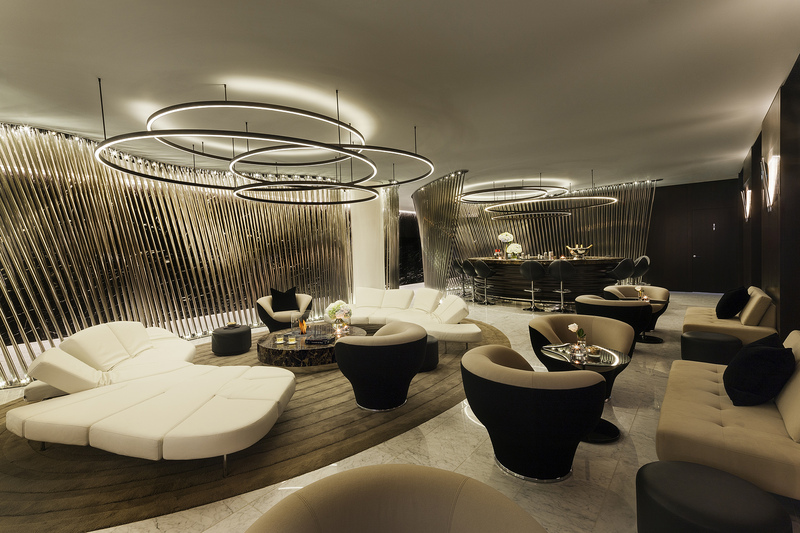 ME London is the flagship property for ME by Meliá, and part of Meliá Hotels International; a luxury hotel group founded in 1956 in Palma de Mallorca in Spain. 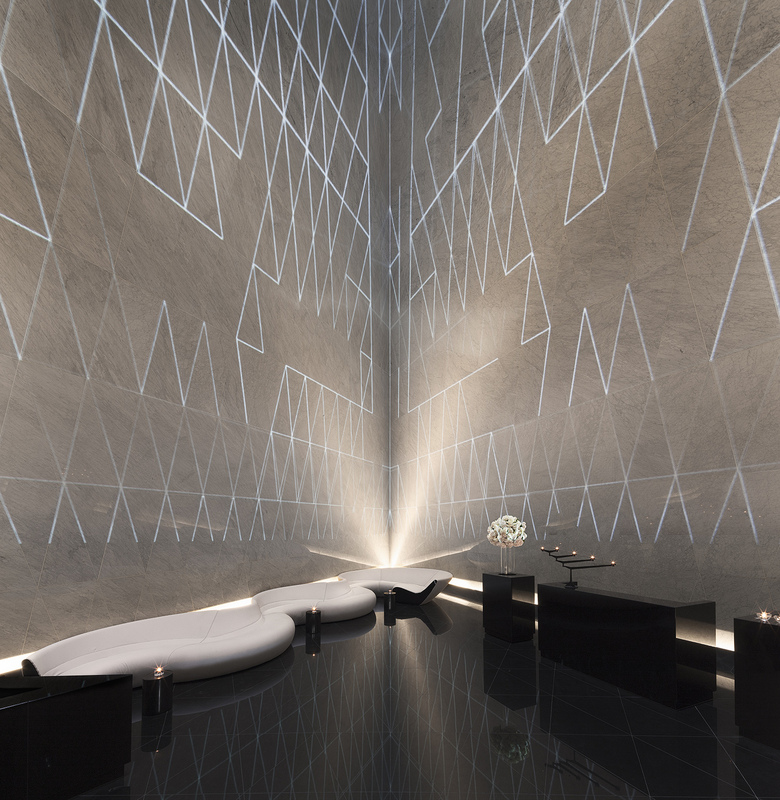 As you arrive to check in, you are greeted by a wide vertical expanse of the reception, encasing you in marble as the reflecting natural light leads your eyes to its source, located 50ft above your head. Room key in hand, you walk down the dimly lit, equally aesthetic corridors to your room, where once again luxury is apparent as my suitcase fights against the lavish carpet as I roll it. 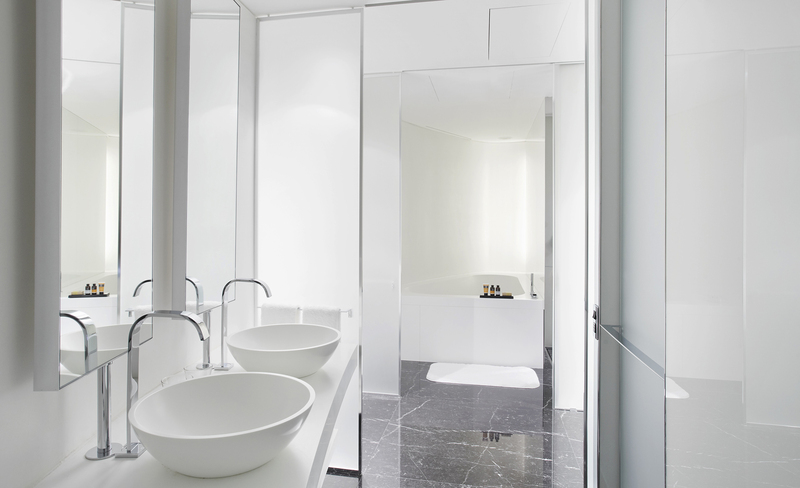 Open your room door and there is a marked antithesis to the darkness of corridor as you’re greeted with an elongated expanse of white and clean lined design-driven space. It is then I realised that the ME London journey to your room was intelligently designed to be all about dramatization; the journey was the sentence, and the room, a bold exclamation mark on the end adding context to everything that had gone before. 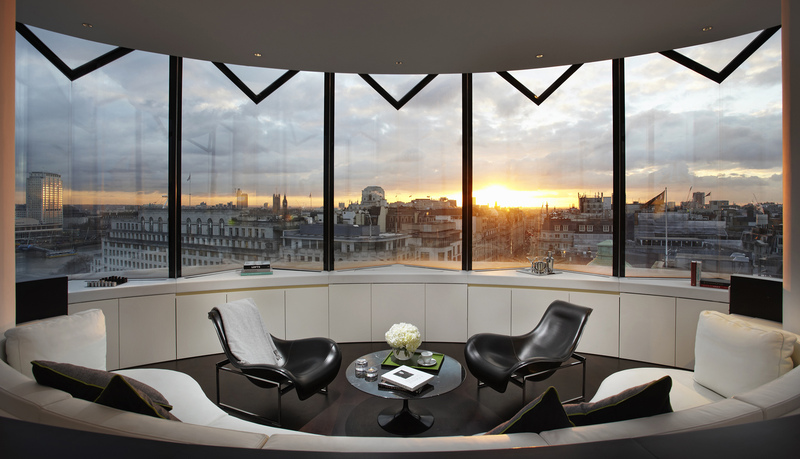 The reason for this particular stay was for London Fashion Week Men’s and hence the hotel’s location is key, and it doesn’t get much better than the ME London for that. Such was the convenience, that one of the Fashion shows was even hosted in the event space within this very hotel. 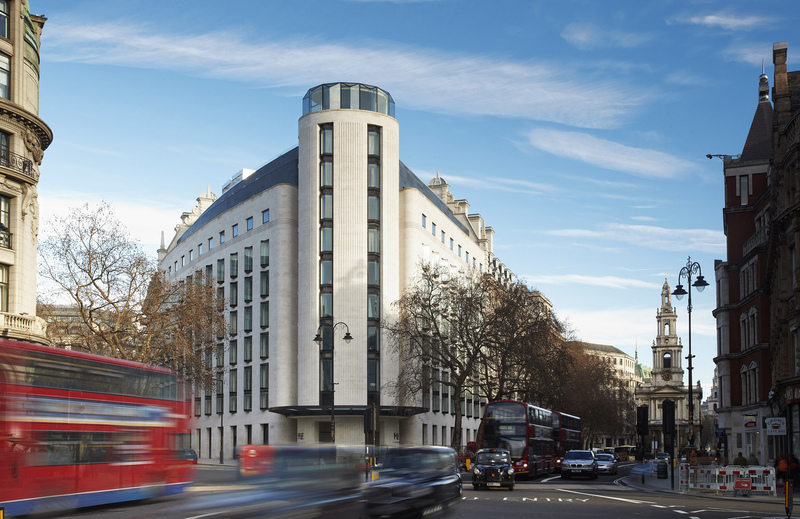 Located on the Strand on the southern tip of Covent Garden, the ME London is opposite Somerset House, a few moments from the River Thames and Trafalgar Square and furthermore within close proximity of some of the city’s most revered art galleries, museums, theatres, restaurants, bars, shopping and nightlife. Aside from the spacious rooms themselves the ME London also features a variety of spaces ‘hidden’ away for you to discover that offer different ways to enjoy your downtime. 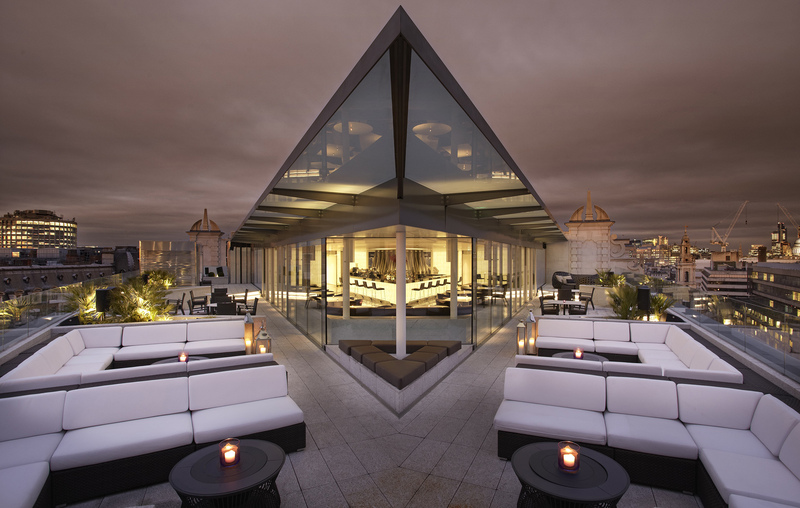 Take the Radio Rooftop Bar for example, located on the 10th floor it provides a temporary respite and unobstructed views of central London from the peaceful tranquillity of on high. At the end of my stay – and despite a hectic Fashion Week schedule – I was tranquil and at peace, to such an extent that even the Tube strikes were not able to spoil my mood. As I stepped into my Uber, I looked back at the ME London and drove away thinking “I’ll see you again soon my friend” and see you soon I shall.